As I’ve mentioned before, certain paper crafting supplies are not cheap! The market for such items is huge, though. 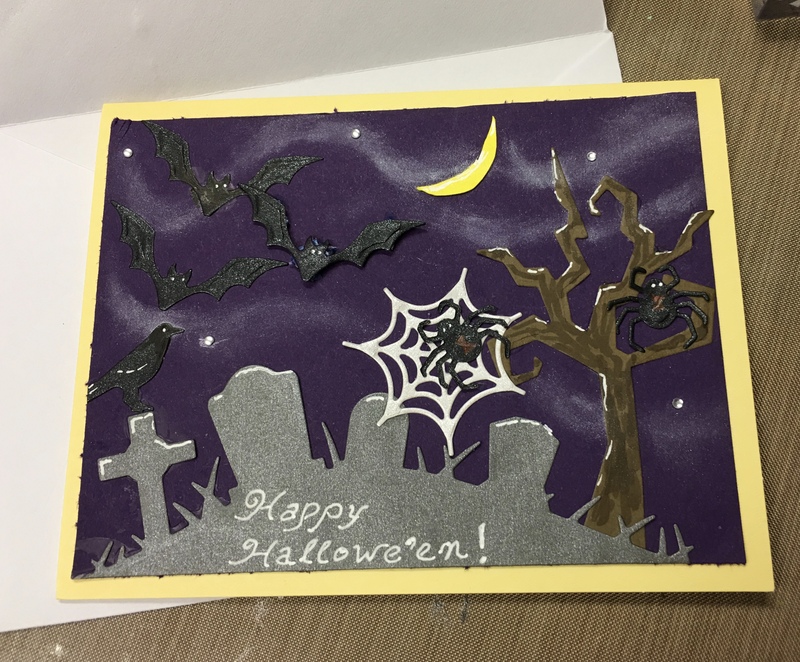 A few companies that sell fancy papers, paints, inks, die-cutters and the like, are in extreme demand among the multitudes of folks who want to DIY their own greeting cards. 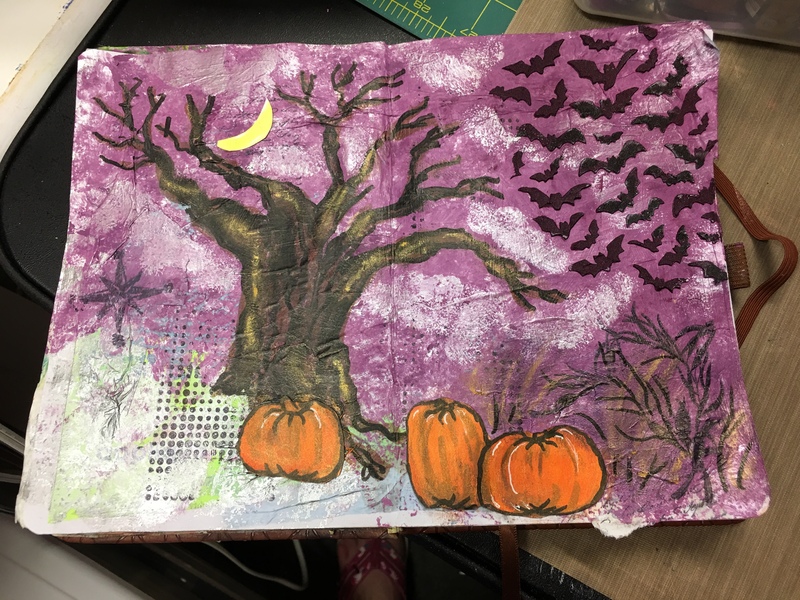 At our crafting class the other night, a few of us were talking about the monthly card kits we subscribe to, which run about $30 to $60 per month. “I subscribed to [so-and-so’s] kit, but I refuse to subscribe to [such-and-such’s] because it’s way too expensive,” said one of our members. I agreed. I also have a lot of stuff I’ve accumulated from the 3 months I’ve been a subscriber, that I haven’t used much of yet. However, I had been looking at that particular expensive kit, because its current offering has some equipment in it to make pretty gift card holders for Christmas. After a few days of mulling it over, I decided maybe I wanted to buy into just this one-off kit. But, in the few days it took me to get to that realization, the kit sold out! The only option was to buy a 3-month subscription, which was $97, not including shipping costs which would come to another $12 or so. Well, I darn sure wasn’t going to pay that…but then again, it was very unique, and it would only average out to $33 per month or so…I tentatively looked at the 3-month option again, and in just a day’s time, it was sold out too! Unreal! Can you tell by looking at it, what it’s supposed to do/be? The title of it is “Monstrocity.” And inside the envelope are some metal wafer dies in the shapes you see in the image above. 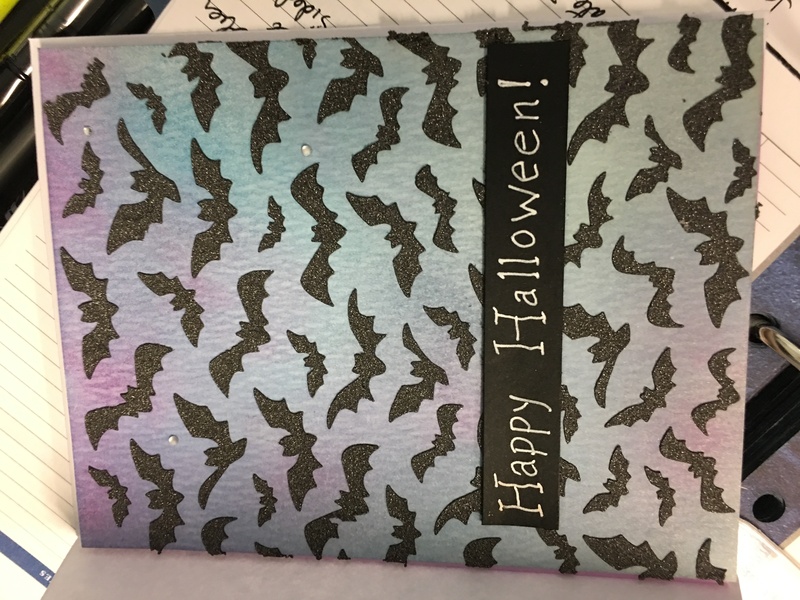 I threw it in a drawer and stopped thinking about it until recently, when I began to get interested in making cards and stuff for Halloween, reasoning that maybe it could fit into the Halloween festivities somehow. So I went to the company’s web site and tried to find a stamp set that coordinated with the dies. No luck. It was not even listed anywhere on the site. I tried Googling it, and I did find a few images someone made using the stamp set back in 2015. On eBay, I found one used stamp set that fits these dies, and it was for sale for about $35, not including shipping and handling. So the freebie is pretty much unusable–destined for the Island of Misfit Card-making Paraphernalia— unless I want to buy the stamp off someone who bought it from the company back in 2015. 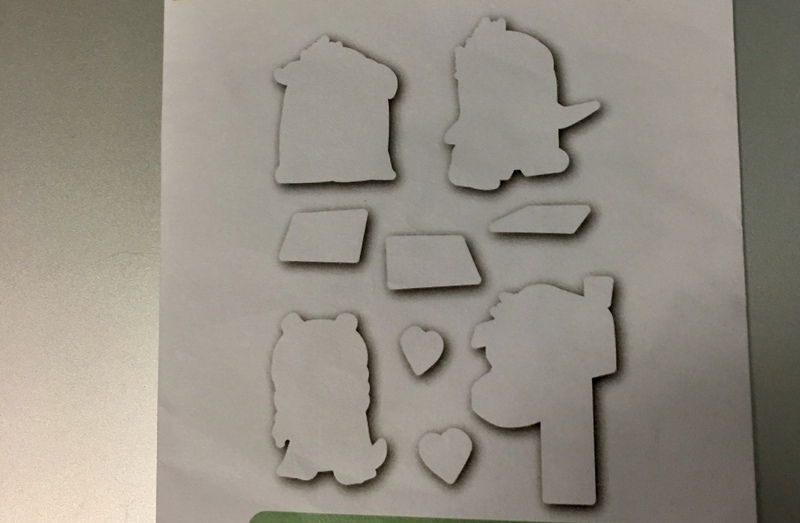 Or, I could die-cut the little monsters out of paper, then draw and color them in while eye-balling a picture of the stamps so I’ll know what they’re supposed to look like? What would you do, dear reader? 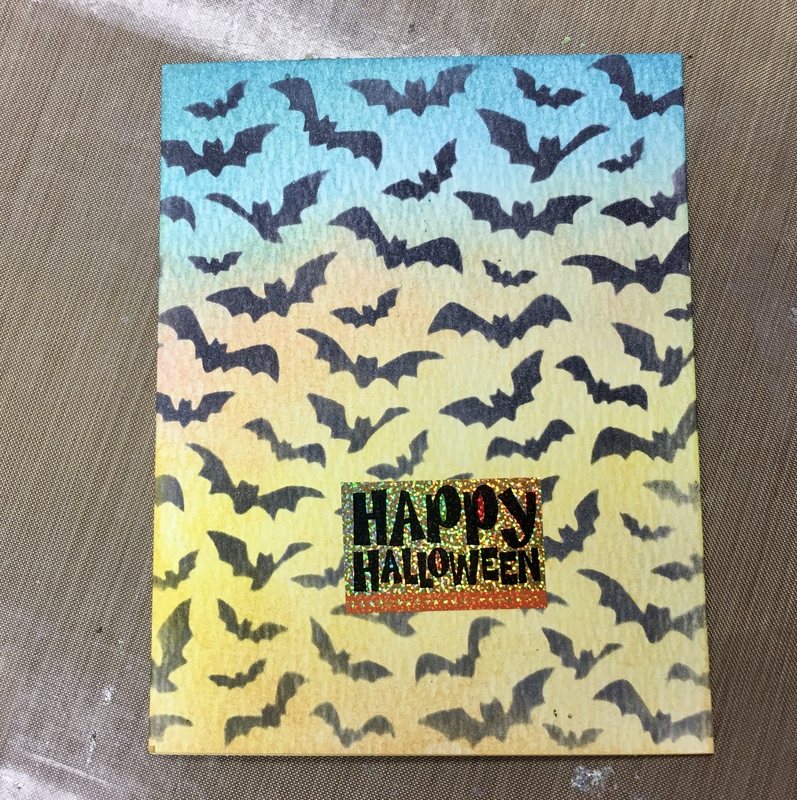 In the interim, I did have some fun making Halloween cards. 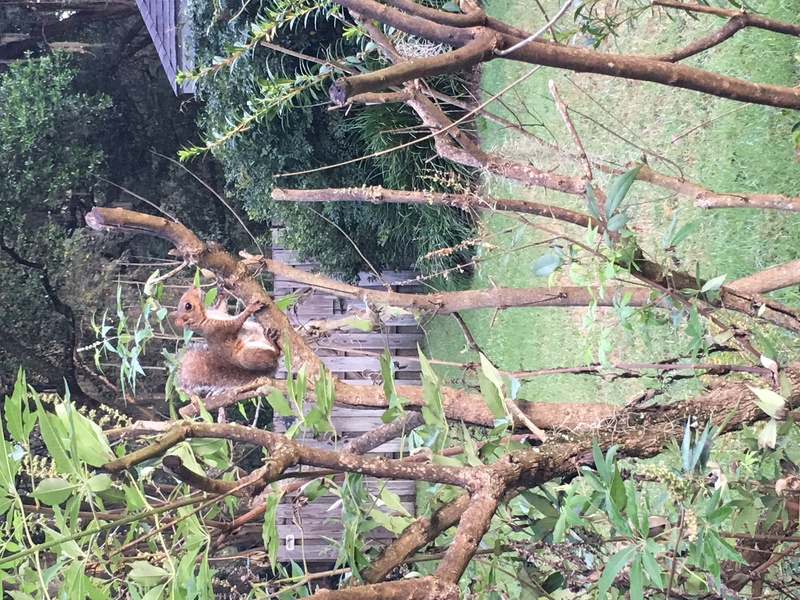 Lots of squirrel activity in the neighborhood….another harbinger of Fall?